Late Vijya Gavri Champaklal Parekh | Oshwal Association of the U.K.
Our condolences to the family of Vijya Gavri Champaklal Parekh who passed away on Tuesday 2nd April 2019 aged 84. Daughter of Shantaben Gandhi and Chaganlal Ravji Gandhi. Children: Kirti Mehta, Narendra Parekh, Krishna Mehta, Pushpa Parekh, Bharat Parekh, Geeta Hepton, Bharti Kothari, Bindi Bashir, Bella Patel. 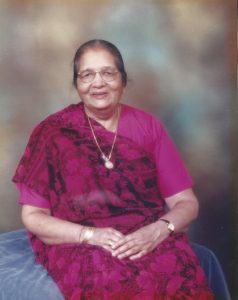 Beloved Wife of Late Champaklal Jadavji Parekh, Sister of Late Tara,Jaswant and Chandrakant Gandhi. Our beloved mother, will be sorely missed for her continuous and unconditional love of her two sons, seven daughters and their families. Her soul has departed, but her light continues in our hearts and memories.